My first thought while driving to this show was… How are they going to get Terry Bozzio’s enormous drum set on the Iron Horse stage? 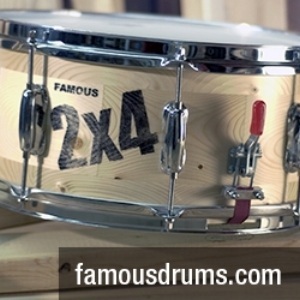 Well, all of his thirty-eight drums, and fifty-three cymbals did fit comfortably with a few inches to spare. Terry’s kit is probably the largest on the planet. What’s really amazing, is that it’s not just for show… He uses everything up there throughout his entire mind boggling two-hour performance. 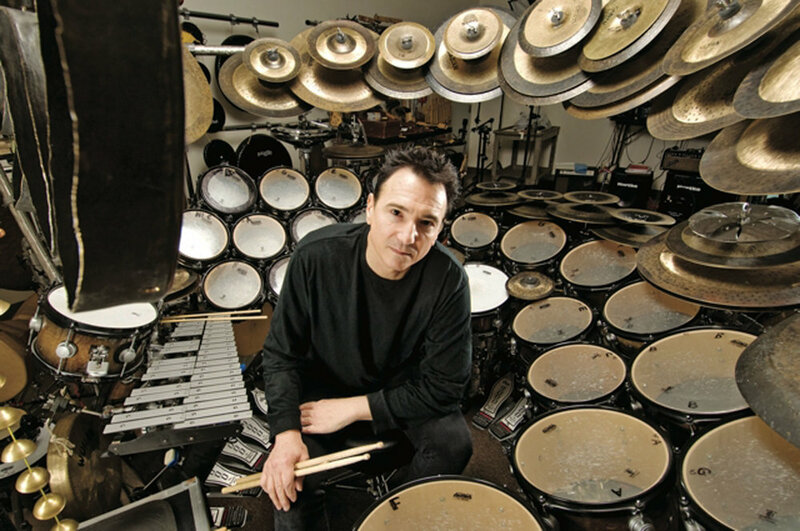 I had already recognized Terry Bozzio as a ground - breaking musician, having seen him previously on three different occasions…In the 1970’s with Frank Zappa, the early 1980’s with Missing Persons, and at one of his drum clinics a few years later. Having no idea what to expect that night…It was a shock to the system to say the least. 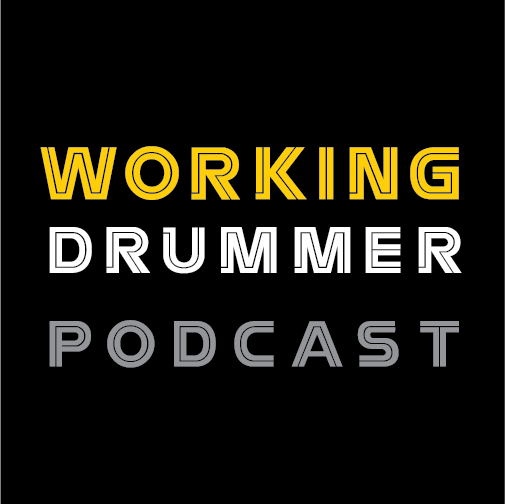 This one-man performance by Terry Bozzio was completely different than anything I had ever seen or heard before…Terry with his huge kit - and nothing else… Demonstrating a complete and total mastery of the instrument throughout the show. The audience loved it all, applauding loudly after every one of Terry’s original compositions. “I went to this show expecting to witness some great drumming, and I did. What I didn’t expect was his format. Terry played about seven different pieces, some with loops, and some over foot ostinatos...Fabulous playing! I felt the real bonus of the show was hearing Terry talk about, and explain what he had done in each piece. If you were a drummer, and attended this show, it was double edged, a great show and clinic, all in one! 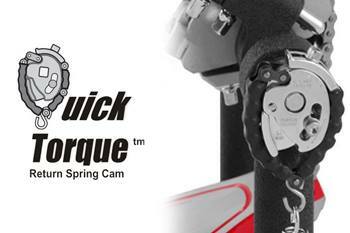 This was one event not to be missed”. Unless you have seen Terry Bozzio live, you have no idea what you are in for. Terry is an enigmatic, evocative, and engaging musician whose instrument just happens to be the drums. He is able to accompany himself with bass note patterns and, at the same time, melodically solo with highly developed coordination skills to express a “complete musical statement” on the drums. Drawing from jazz, classical, & ethnic percussion styles from around the world, Terry is “a storyteller,” able to weave a hypnotic spell over his audiences and enthrall them with an eclectic experience filled with emotion, contrast, variety, intimacy, excitement, and passion. Terry has worked with Frank Zappa, Jeff Beck, Korn, UK, Missing Persons, Mick Jagger, Robbie Robertson, Alan Holdsworth, Tony Levin, Steve Vai, Quincy Jones, Ken Scott, Metropole Orkest - as well as Film score composers Basil Poledouris, Mark Isham & Patrick O'Hearn...Is a Grammy Award Winner, RockWalk Honoree, Modern Drummer Magazine's Hall of Fame Award,and is in Rolling Stone's Top 5 Drummers of All Time. Many thanks to Glass Onyon –Terry Bozzio public relations team for all the photos and press materials... Thanks for accommodating all of my requests - You all Rock !! Also, really want to recognize Drum Tech: Shawn Shaulis who sets up and breaks down Terry's kit night after night. 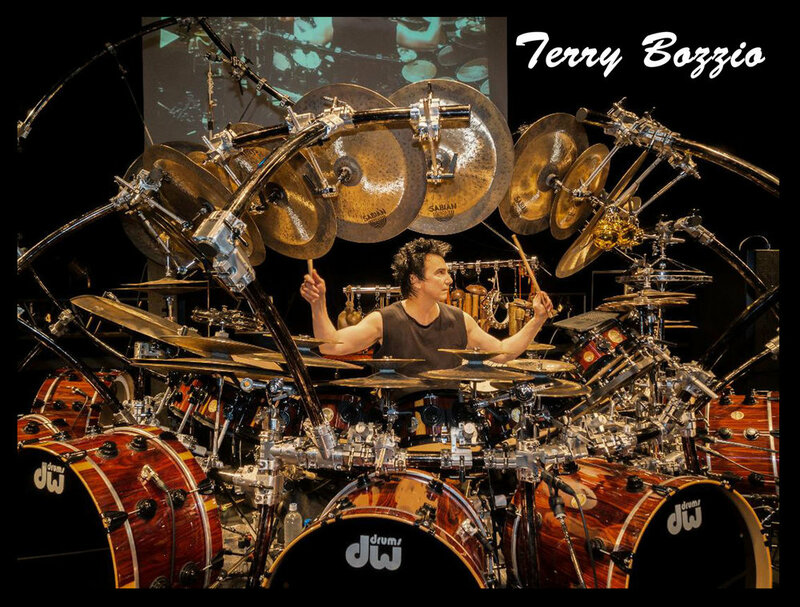 5) “History of Terry Bozzio” DVD (A 3 Hour Live Performance of Terry playing tunes he has played from some favorite bands of the past. With an All Star Japanese Band Terry revisits the Best of Zappa, Beck, UK, Missing Persons, Bozzio Levin Stevens, Nine Short Films w/Billy Sheehan, his Composer Series & a Solo Drum Performance! 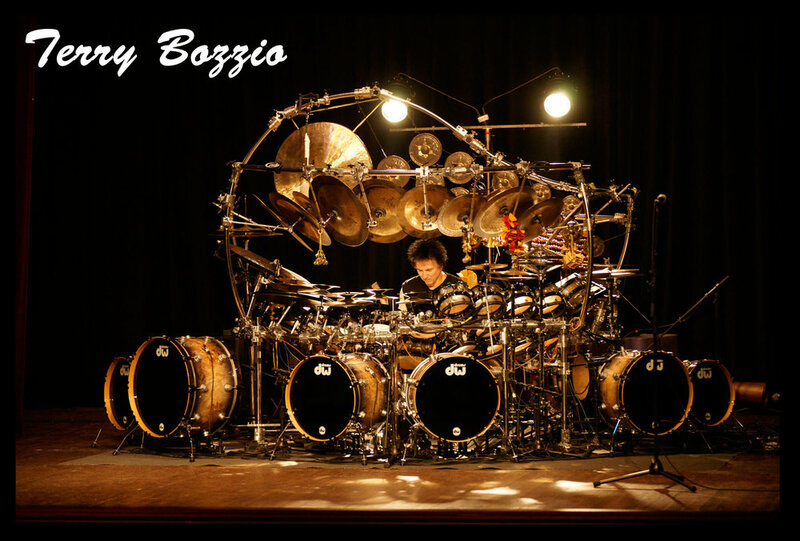 In addition Terry Bozzio has been creating Art Works since 1975. Terry explains, “I first got interested in Art & Sketching at the encouragement of renowned artist Don Van Vliet (aka: Captain Beefheart) who I played with on my first Frank Zappa - Mothers of Invention tour in 1975. He was very encouraging. In 2013, I released my first project called Rhythm & Sketch in collaboration with the art group Scene Four. It's been successful and has inspired me to do more. “In 2017, I did my first Gallery Show at Channel Islands Studios. I displayed 30 works from 1975 to the present day. I have used my Art Works as Stage Sets for my tours for years now, & will have New Works on this tour.